For some aspects of defence and security, there is a clear justification for secrecy by governments: war planning, technical details of advanced weapons, and the names and activities of intelligence agents, for example. But governments tend to apply wide-ranging secrecy to military, intelligence, and security matters far beyond the legitimate demands of national security. This may be for many reasons: for one thing, because governments want to hide things that their citizens have a legitimate right to know about. Several countries publish absolutely no information about their defence budget, and many more provide only the barest details, frequently leaving out considerable off-budget spending, so that citizens have little or no idea how their money is being spent in this area. Such lack of transparency can be an effective cover for corruption. Excessive secrecy can also be used to deceive the public and parliamentarians for the purpose of achieving a particular policy goal, such as the manipulation of intelligence in both the US and UK to justify the Iraq war. In other cases, excessive secrecy can result from more banal bureaucratic reasons. 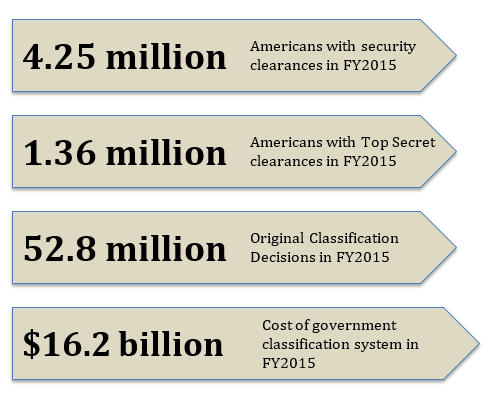 Studies in the US suggest that millions of documents are subject to classification not for overriding security reasons but because classification, and access to classified information, is a key mark of status among government employees, and secrets can be a vital commodity for trade between different agencies. An over-cautious approach that treats classification as the norm, with no disincentive for unnecessary secrecy, is also a factor. The result is both that important aspects of policy are kept out of the public eye and public debate, and that important information fails to be shared between different agencies, one of the factors, according to the 9/11 Commission, behind the failure of intelligence agencies to prevent the 9/11 attack. The 2013 Open Society Justice Initiative, following consultations with over 500 experts in 70 countries, proposed a more positive approach with the Tshwane Principles on National Security and the Right to Information (see box). The public has a right of access to government information, including from private entities that perform public functions or receive public funds. 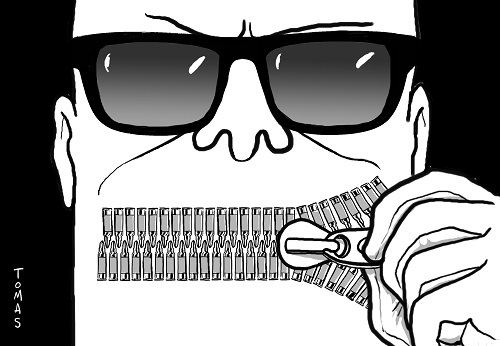 It is up to governments to prove the necessity of restrictions on the right to information. Governments may legitimately withhold information in narrowly defined areas, such as defense plans, weapons development, and the operation and sources used by intelligence services. Governments should never withhold information on violations of international human rights and humanitarian law, including abuses by previous regimes. The public has a right to know about systems of surveillance and the procedures for authorizing them. No government entity may be exempt from disclosure requirements—including security sector and intelligence authorities. The public has a right to know about the existence of all security sector entities. Whistleblowers in the public sector should not face retaliation if the public interest in the information disclosed outweighs the public interest in secrecy. Criminal action against those who leak information should be considered only if the information poses a ‘real and identifiable risk of causing significant harm’. Journalists should not be prosecuted for receiving, possessing, or disclosing classified information to the public. Journalists should not be forced to reveal a confidential source in a leak investigation. Invocation of national security may not be used to undermine the fundamental right of the public to access judicial processes. Governments should not be permitted to keep information confidential that prevents victims of human rights violations from seeking a remedy. There should be independent oversight bodies for the security sector, with access to all information needed for effective oversight. Information should be classified only as long as necessary, and never indefinitely. There should be clear procedures for requesting declassification, especially for information of public interest.